How To Make A Demi Glace: The Best Ways You Will Use In Your Kitchen! 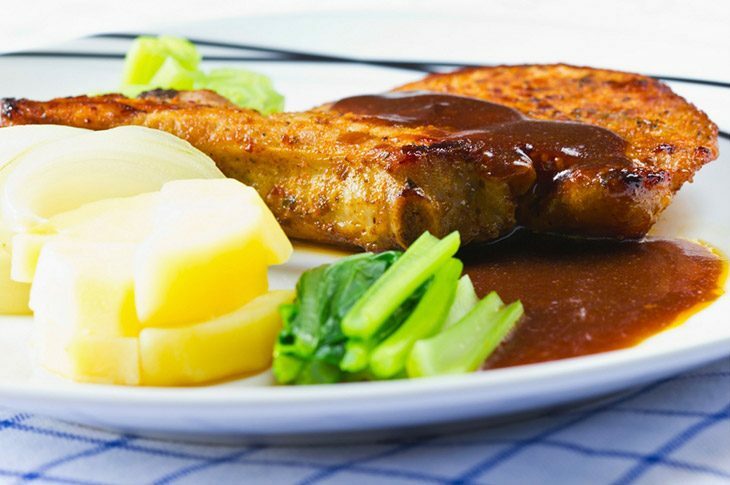 →How To Make A Demi Glace? You Should Know This! 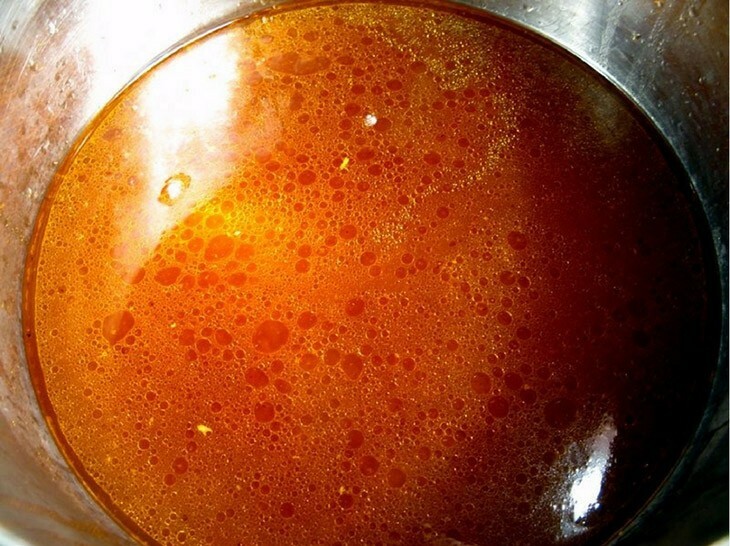 How To Make A Demi Glace? You Should Know This! 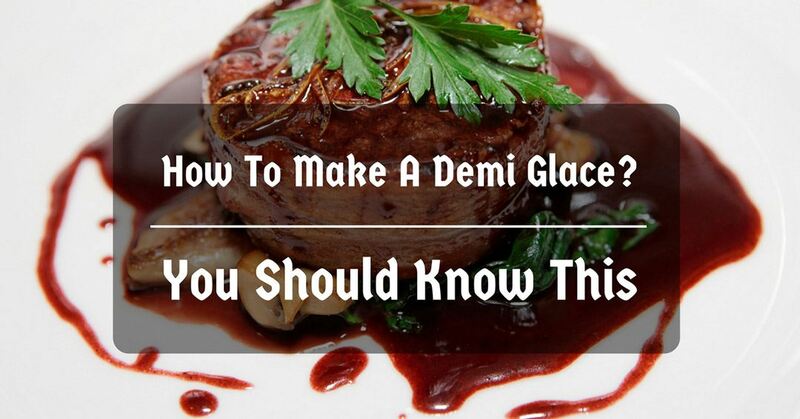 Do you want to know how to make a demi glace? What are the necessary ingredients for this recipe? How can we do a step by step process in making it? What outcome should I expect? These questions may have popped up in your mind upon realizing that this time you are going out of your comfort zone; this time you are going to explore a recipe that is new to you. Fortunately, this article is just for you and your needs! Step 2. Make ﻿T﻿he Espagnole ﻿S﻿auce. You can expect that the given questions will be answered. We cannot accommodate failure in your first attempt, so as much as possible, follow the instructions carefully. The classical way of making the demi glace recipe is quite a complicated one. Complicated in a way because you have to prepare your ingredients I order for you to use them in making your recipe. You will need to make a brown stock and an Espagnole sauce. So, in order for you to follow throughout this tutorial, you will need to prepare the following ingredients and materials or equipment in making this recipe. 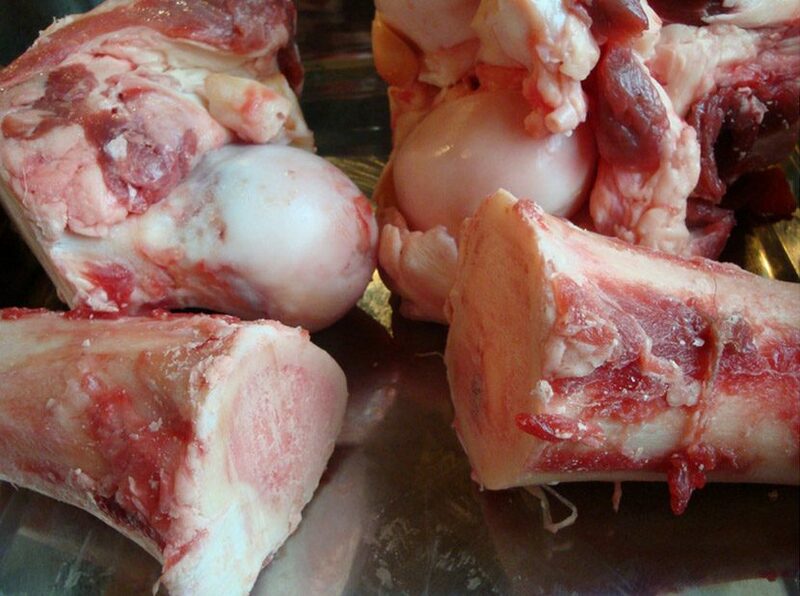 8 pounds of veal marrow bones that are sawed into pieces of two inches. 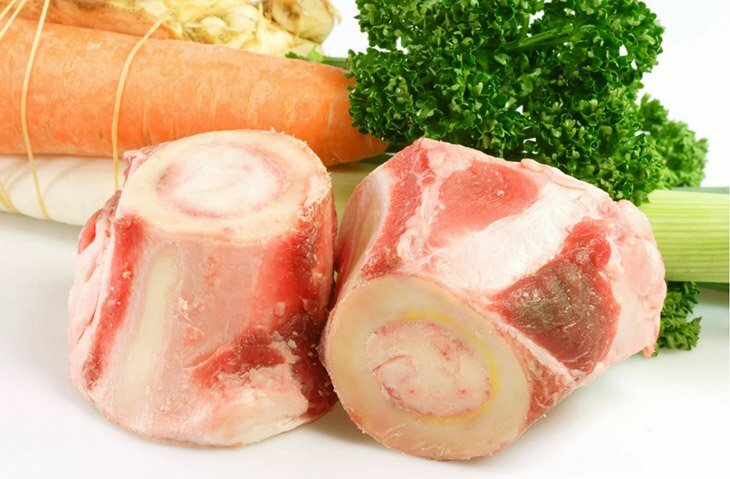 6 pounds of beef marrow bones that has been sawed into the same pieces of two inches. 16 ounces of tomato paste. 4 cups of chopped onions. 2 cups of chopped celery. 4 cups of dry red wine. A ﻿﻿﻿strainer that is tightly meshed. When you are certain that you have already prepared all of these, you are now ready to get into how to properly make a demi glace recipe. You just have to follow the instructions that are will be given to you in the following paragraphs. First, you have to set your oven in a preheating mode. 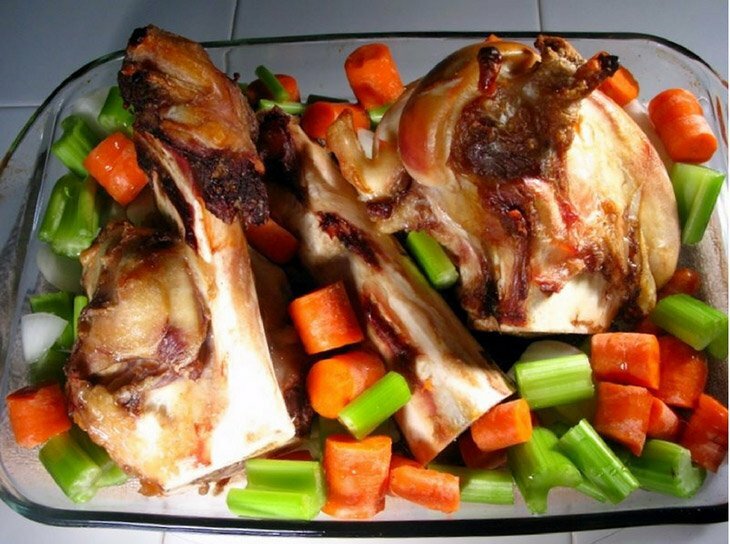 Set the oven's temperature at 450-degree F. Then you have to put the bones in the roasting pan that you have prepared, and roast in for an hour, given the degree of what temperature to cook a roast. Then you can remove the same bones from inside the oven and you can brush it up with a tomato paste. 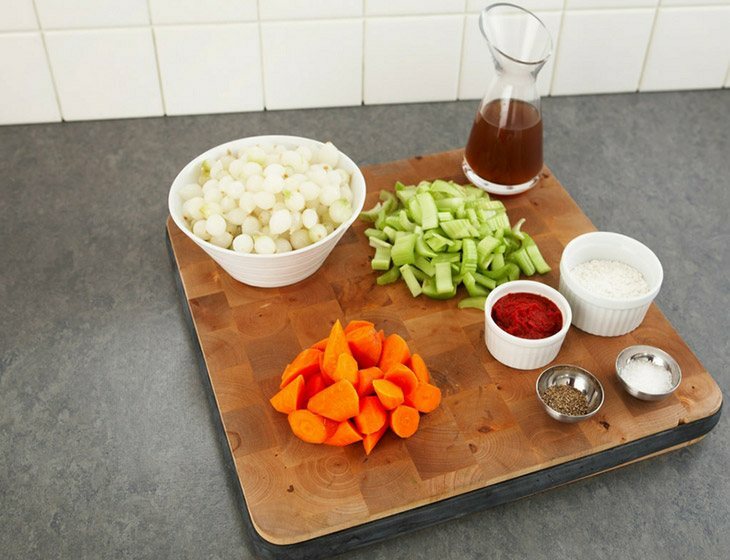 You can then mix the other ingredients, particularly the onions, carrots, and celery in a mixing bowl. 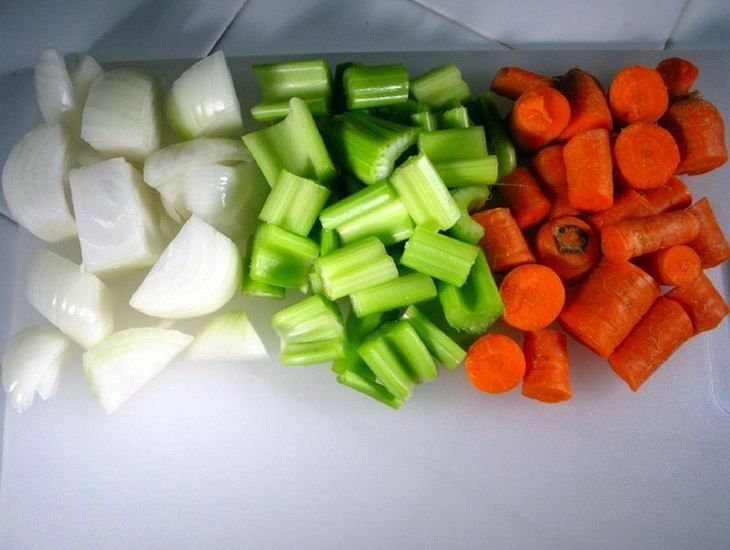 Arrange the vegetables in a way that they lay just over that bones. You can then return it to the oven to roast for some half hour. Then after such time duration, you can remove it from the oven and drain off any fat that might have surfaced after roasting. First, you have to know what a roasting pan does look like. Then, upon finishing on the removal of the fats that have become obvious, you can then place them on the roasting pan and then place it on the stove. You have to deglaze the pan with the red wine that you have. Use a wooden spoon to scrape the bottom of the pan in which brown particles may have accumulated. After deglazing, you can then put them all in a large stockpot. Then add the prepared bouquet garni and depending on your own taste preference, you season it with salt. After having it seasoned with salt, add the water. Boil it up and then reduce it to simmer afterward. 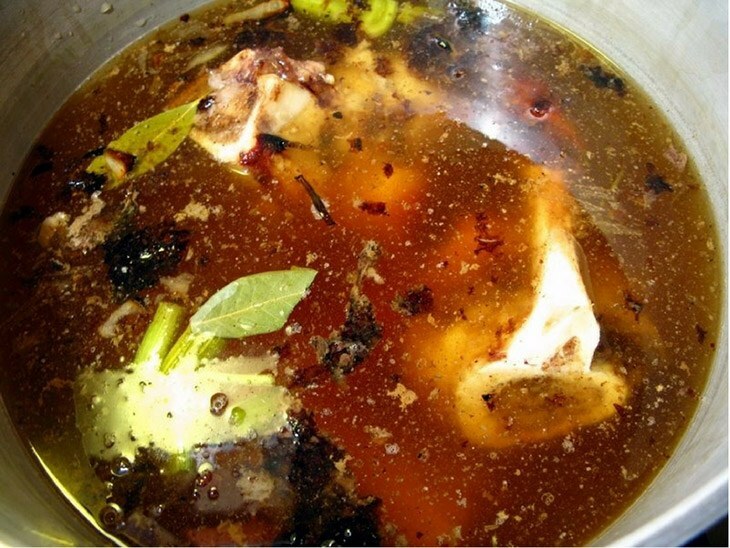 For more or less four hours, simmer the stock. And then you can remove it from the heat and use a strain through your strainer that has been tightly meshed. Step 2. Make The Espagnole Sauce. Use your roux to place your hot stock from the stock pot that you have already whisked. Then you can leave it that while you do the heating of the bacon fat in a large sauté pan. You can add the vegetables while you season it with salt and pepper. Then sauté the mixture until they are wilted for more or less five minutes. 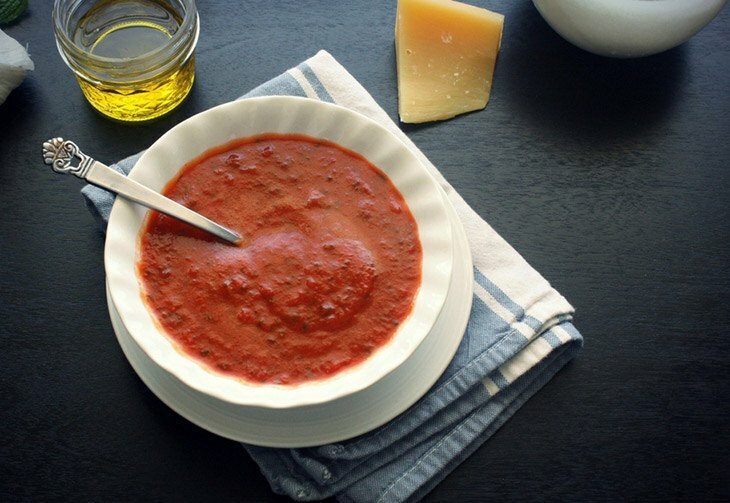 You can then stir the tomato puree into the vegetable mixture and cook it for another five minutes or more. After five minutes or more, pour your vegetable mixture into the mixture in your roux. Then add the bouquet garni and then continue simmering. You can even skim it when need be. And then season it with salt and pepper depending on your taste preference. After that, you can simmer the sauce for more or less 45 minutes. Then strain the sauce with the use of your strainer. You can now combine your brown stock and Espagnole sauce in the stock pot, as well as the bouquet garni. Then it over a medium-high heat. This is for your ingredients not to be burnt with the higher temperature available. Be careful to watch out for it since it may dry up or the sauce may also rise up and dirty your countertop. With the stock pot on a stove that has been set to have a heat that is medium high, you have to bring it to a boil. When it reaches its boiling temperature, you can reduce the heat to medium and wait for the liquid to reduce by half. This can be done easier and quicker when you simmer it. Make it stay the same way for about an hour and a half. You have to skim it occasionally to avoid impurities. You can then season it with salt and pepper since what you have seasoned earlier may be not to be of much taste after all those processes. Serve when ready. Did you enjoy this complicated recipe? It's nice when you did enjoy this despite its complexity, that may just be a sign of your brilliance! Again, this is too important since this is a complicated one and we cannot afford for you to have any mistakes in trying this recipe for the first time! By just following this simplified steps, you can have your own tasty demi glace. Do you have any thoughts about this tutorial? Let us know by leaving a comment below.